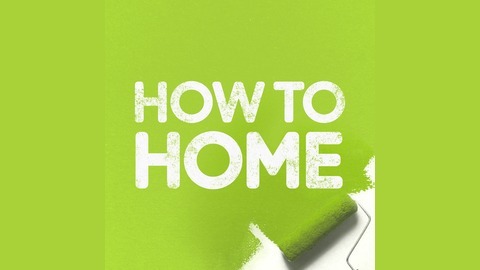 Hosts Aaron Massey and Tracy Pendergast interview experts in this weekly talk show, discussing all aspects of home improvement. 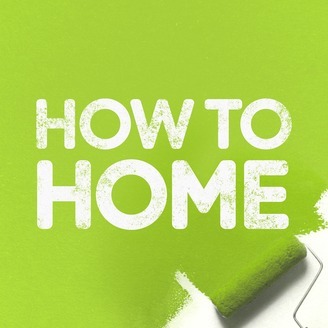 From small DIY jobs to large scale projects, the How to Home Podcast covers everything you need to know about creating a home you love. This week, we chat with the phenomenally talented, Ben Uyeda. We talk about his incredible undertaking of building a shipping container home in the middle of the Joshua Tree desert, his design process and some of his favorite materials to work with currently. - Started out as a professor at Cornell University speaking about sustainable design. - Started a tech company called Free Green where he gave away free blueprints with eco friendly housing, and sold advertising on the actual downloadable blueprints, and eventually sold it. - Launched Homemade-Modern.com where he started creating DIY projects. - Ben takes a lot of cues from food media. They don’t need a lot of fancy stuff or gadgets, just understanding the elements. - Plywood and concrete are two of Ben’s favorite materials. Concrete because it’s accessible worldwide, plywood because even if it’s not the same globally, people are at least familiar with sheet goods. - If you’re going to buy furniture try to find the cheapest basics and then splurge on the things you’re going to keep forever. - You can have a creative career that’s not dependent on patronage. - You can be more forgiving: Everything doesn’t have to be perfectly flat, people actually like things that look more homemade. - Tracy asked Ben about the future of architecture and he talked about the trends of smaller homes and more urban type living situations like lofts. Open floor plans becoming the norm, building performance, thermal comfort and smart homes are all trending. - Ben doesn’t like analytics but he values them. When looking for new property he searched areas where Whole Foods were popping up. - Ben felt like there was a lot of misinformation about container construction, so he decided to just show the process and enjoy the fun challenge. - He wanted to show the regulation intensive process of building in California. - You might think a container is a great deal, but take into account the labor cost and how intensive each step can be. - Driven by the underserved DIY population of people who wanted to build things in a smaller space with minimal tools. - You can build a ton of stuff with an orbital sander, circular saw and drill. Q: How long did it take to cut all of the plywood for spiral staircase? A: It was actually cut with a cnc machine (https://www.inventables.com/technologies/x-carve) , so about 30 hours of cnc time. Q: Is there any difference in insulating a shipping container as opposed to a house? A: Yes and no, the only part that’s really different is if you have to insulate between floor beams. Wood isn’t as conductive of heat as steel is. They insulated between steel beams and then continuous insulation above the plywood and from the metal in. Q: Were you building things and taking things apart when you were young? A: Ben loved the way that making could lead to adventure. He was inspired by Swiss Family Robinson and Huckleberry Finn. Q: Besides permits what was the biggest challenge of building the shipping container? Q: What’s the cheapest place to get a shipping container?